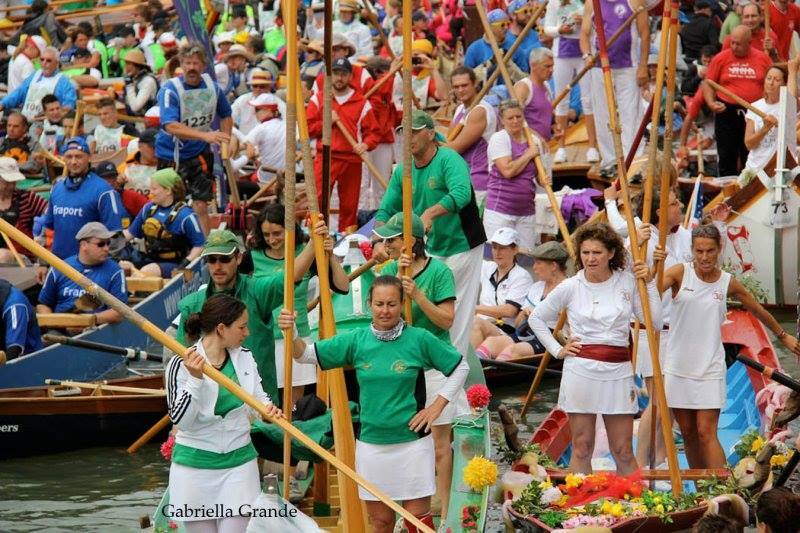 Back in 1983, while visiting Venezia on a fact finding, boat building mission, we were inspired while viewing the famous Regata Storica. 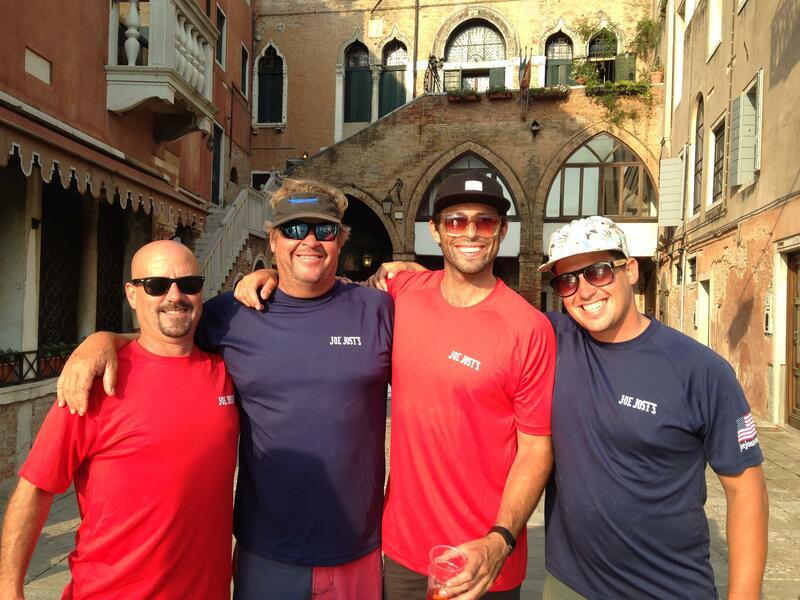 Gondola racing was a big thing and we were invited to come back and participate as the only American team the next year. We came back to Long Beach and built a boat for us to practice in. 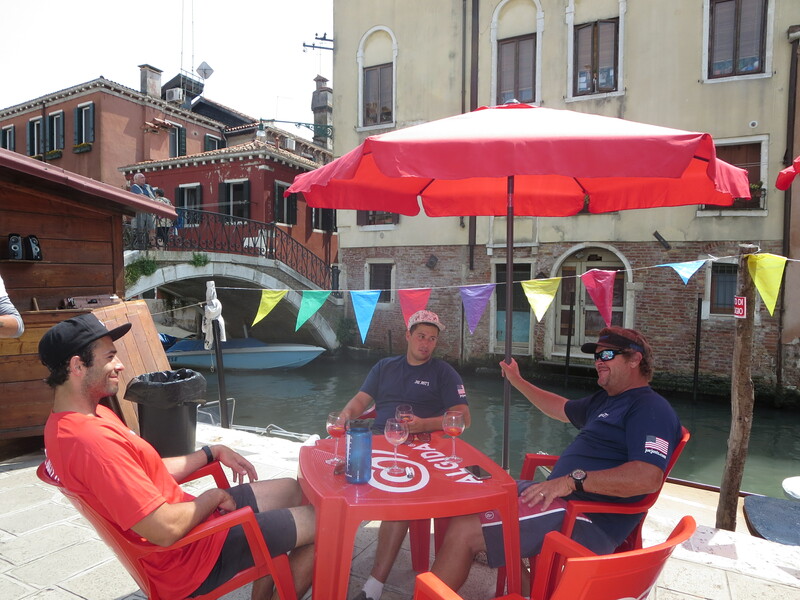 We trained a six-man team to row “Voga Veneta” (the Venetian style of rowing) and went back to Venezia in 1985 to participate in the 30-kilometer marathon through the Venetian lagoon. We have since gone back every year, still as the only American team and 2019 will be our 34th year in a row of participation! 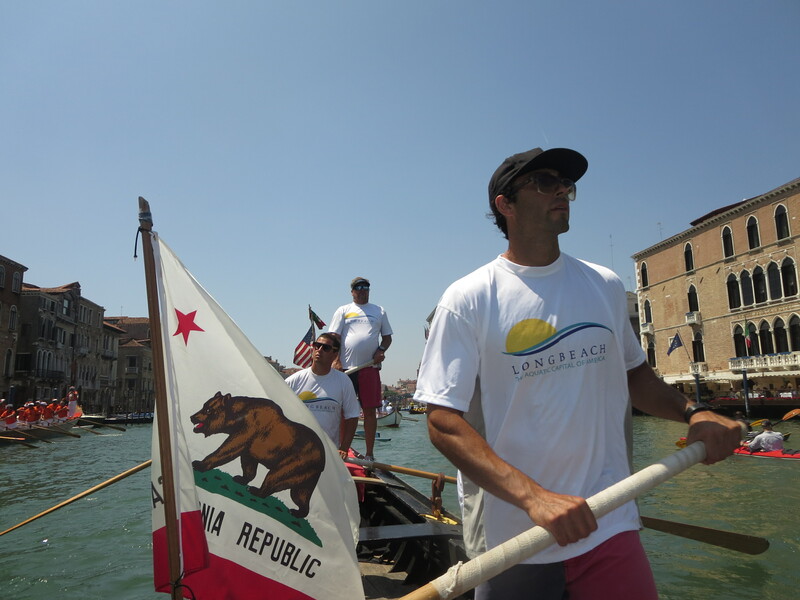 As a team we have rowed over 1,000 miles through the canals and lagoon of Venezia. 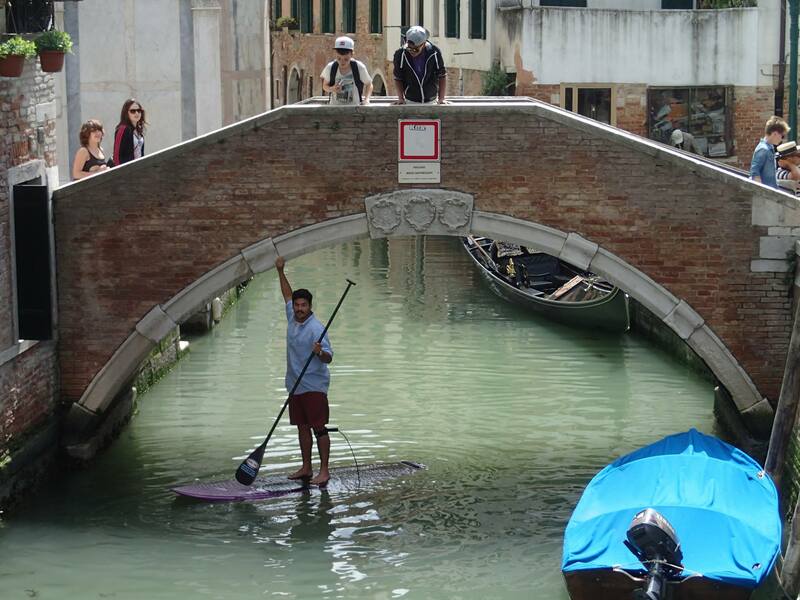 This consistent participation in this event is what gives Gondola Getaway its Heart and Soul. 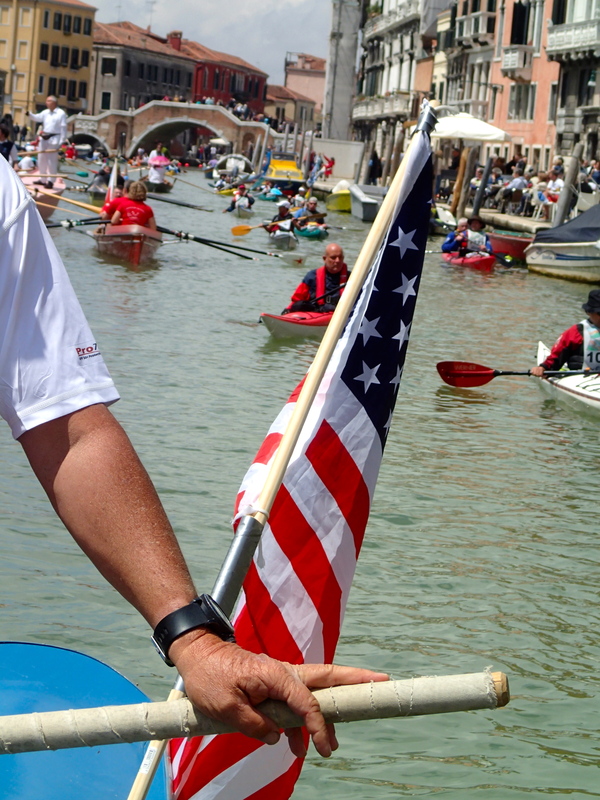 During our week-long adventure each year, we eat, drink, row and live like Venetians. 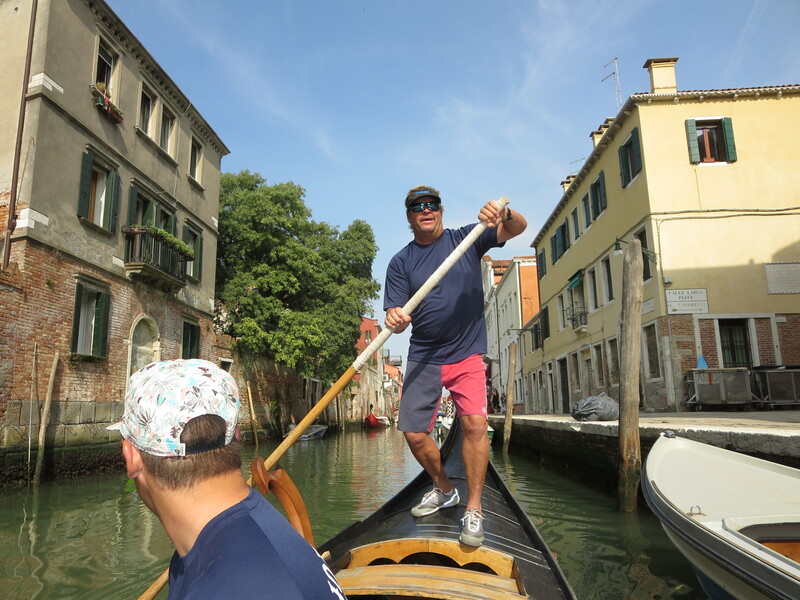 We are in the lagoon daily and spending time with the old school Venetians, bringing back stories and experiences to inject into our operations at the Gondola Getaway. 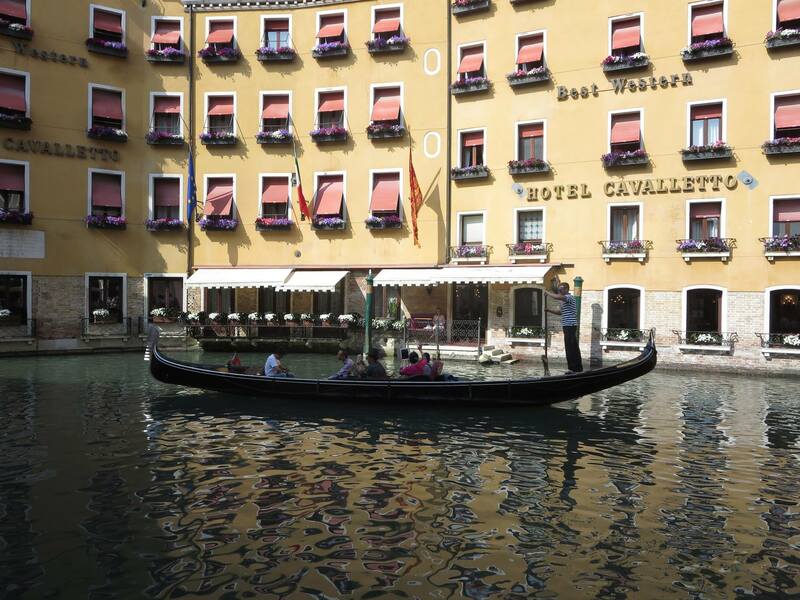 If you have any questions about Venezia, Gondolas or anything Venetian. Give us a call and we will share our latest experiences. 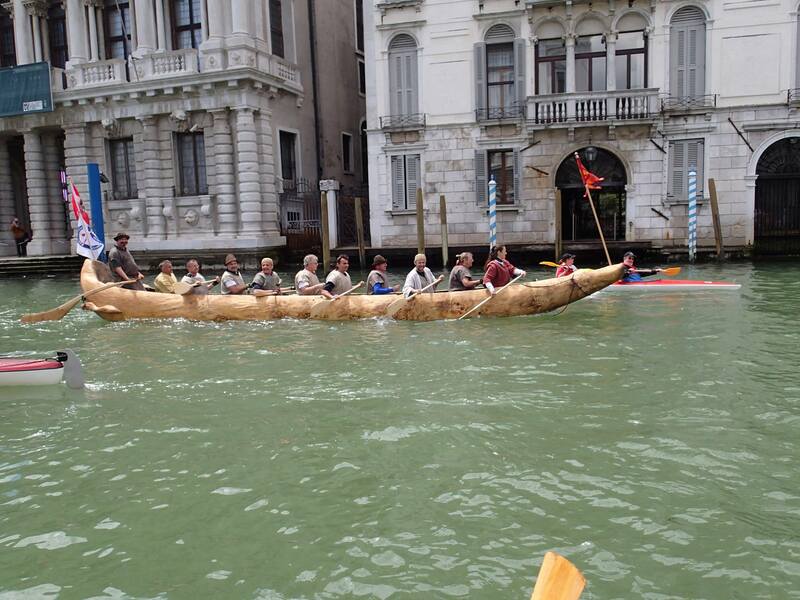 For the 34th year in a row the Gondola Getaway has trained a crew to head to Venezia for the Vogalonga. 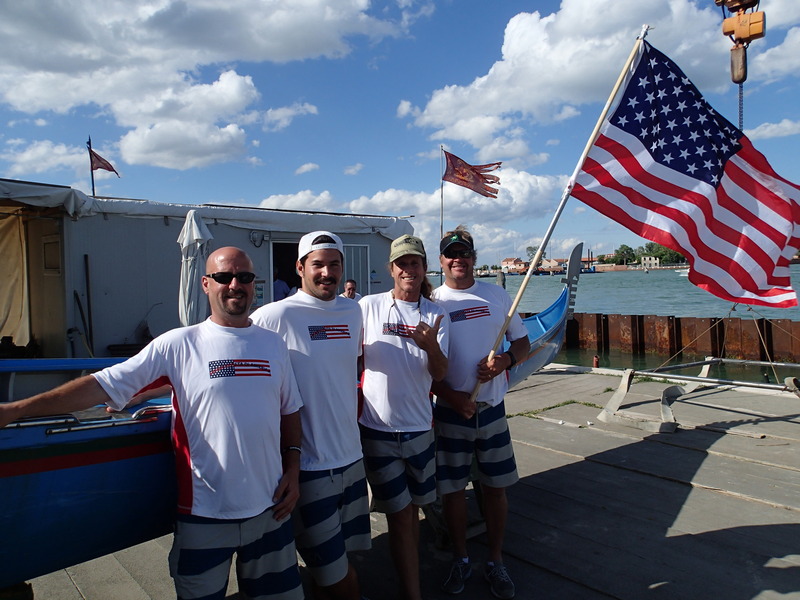 Once again they will be the only American team in the regatta that boasts over 2,000 boats and 6,000 rowers. 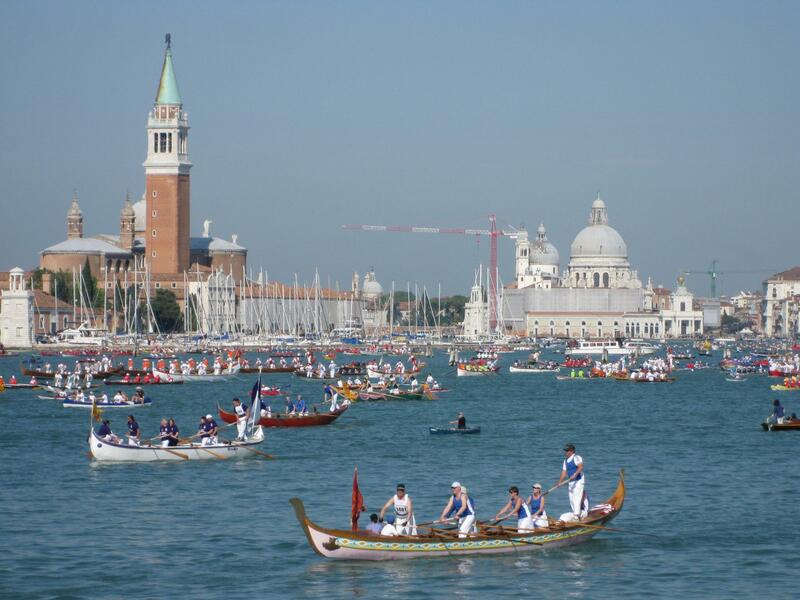 The regatta is a 20 mile course around the lagoon of Venezia, finishing down the grand canal. 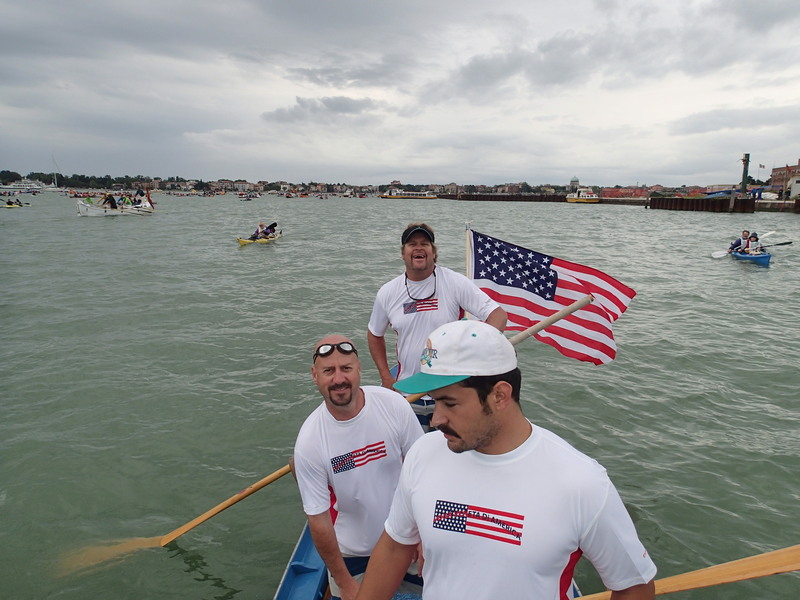 This year they are sending a 4 man team to compete in the race on June 9th. 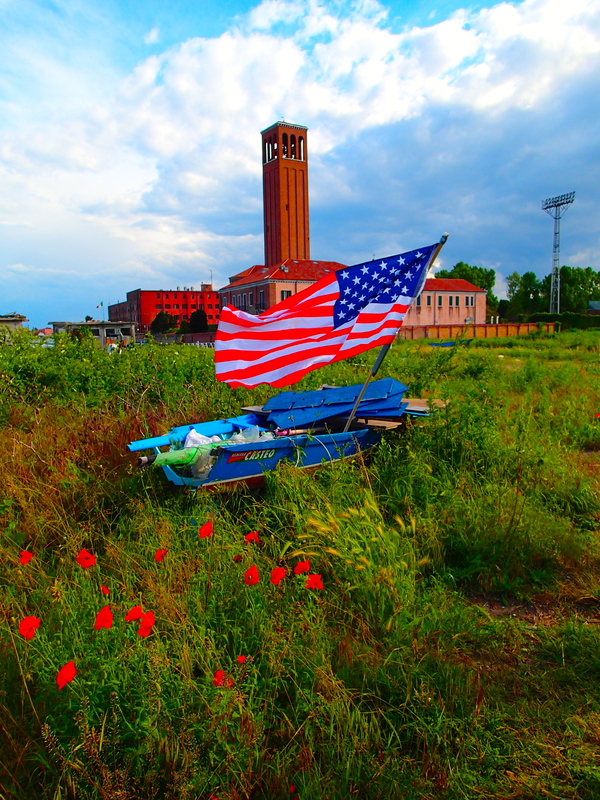 Since Long Beach has become an official friendship city with Venezia, the team has also become an annual delegation to meet with City officials and the Foscari University. An exchange program is in progress to begin to share cultural, business and sport with each City. The team is always looking for help in financing such an endeavor. 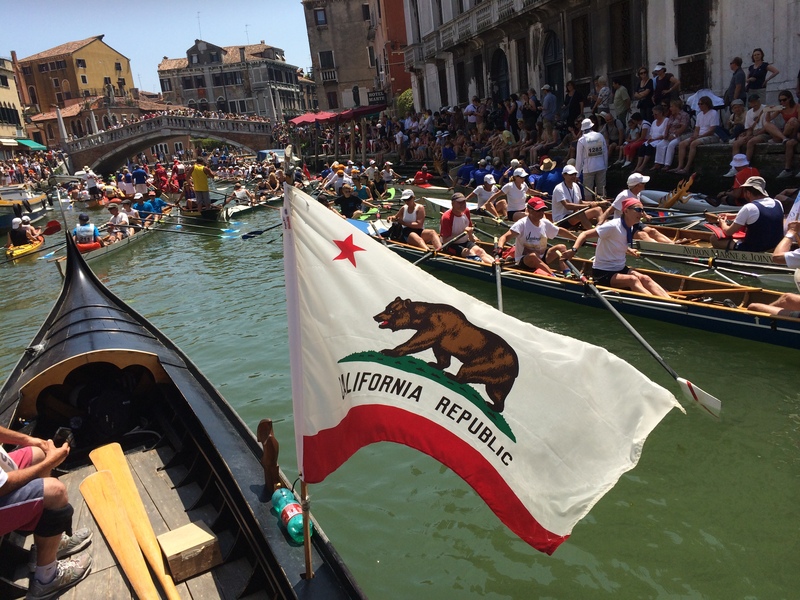 The opportunities abound in supporting your local Gondoliers to represent not just Long Beach, but both California and the United States! 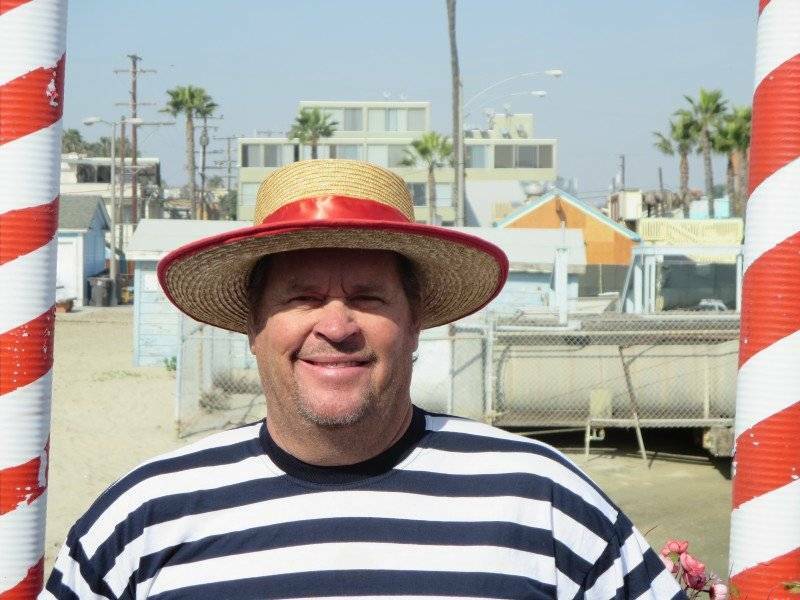 Any donation is greatly appreciated and is a tax write off with our 501-3c Long Beach/Venezia friendship city status. Creative help has been offered in the past from Airline mileage, Airline marketing, Corporate sponsorship and more. Corporations and any business can donate to “brand” with such a unique and iconic team! We have a lot of social media presence and always gain tremendous visibility for our partners. Individuals can donate $100 and receive a custom plaque with a picture of the racing team in Italy that shows your support on the plaque. So, if you have the desire, or know someone that might be interested in helping to support this American team feel free to contact us at any time. Also stay tuned for a couple of fundraisers we will have coming down the pipe in May from a “Opera and Risotto” party, the a craft beer tasting on board our large Gondola. 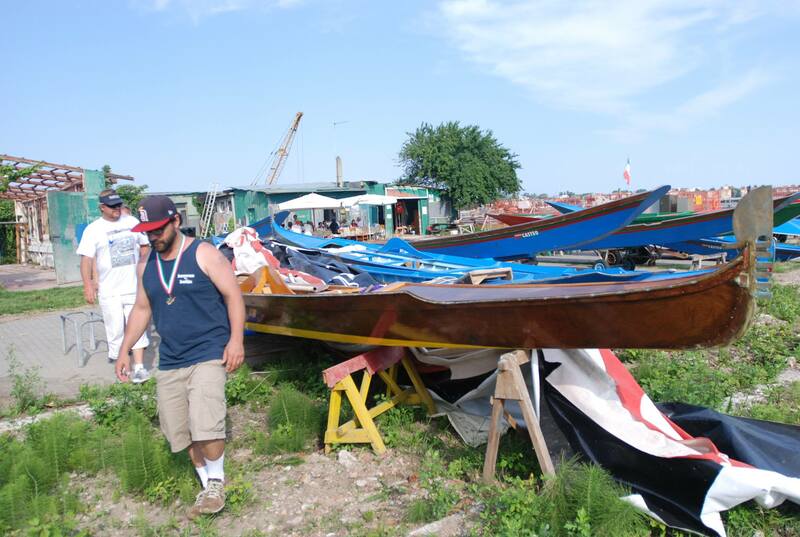 For more info please email Michael at gondolier33@verizon.net Michael Otolini 2019 Vogalonga team captain.